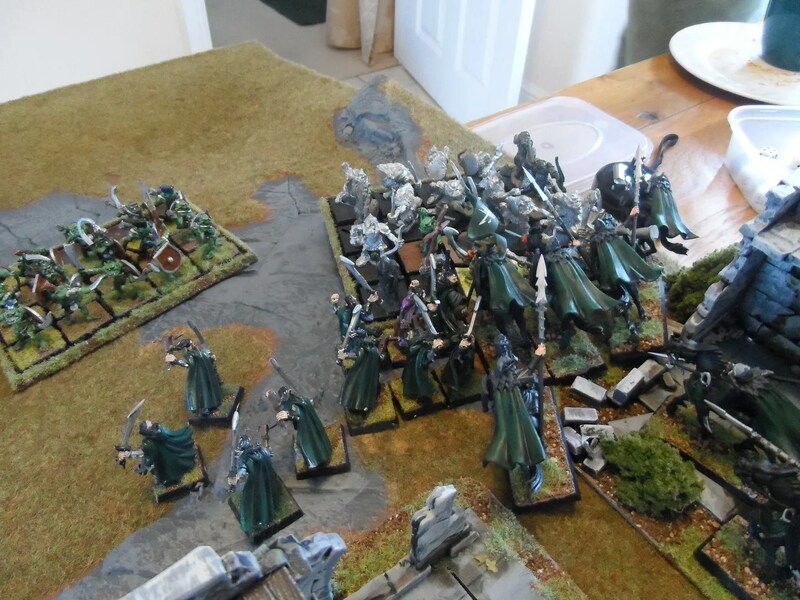 I pumped up the Silver Talons, as they were facing off against a lot of big units – Augment spells like Blades of Aiban and Glittering Robes. 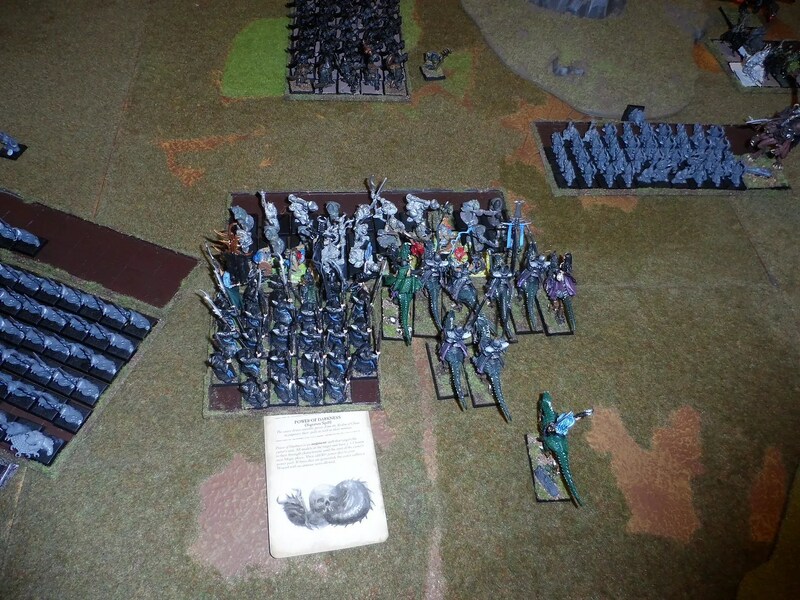 The Warlocks charged the Wolf Riders, with mixed results, and were eventually defeated, so they are not an uber combat unit, at least not against Orc Wolf Riders. 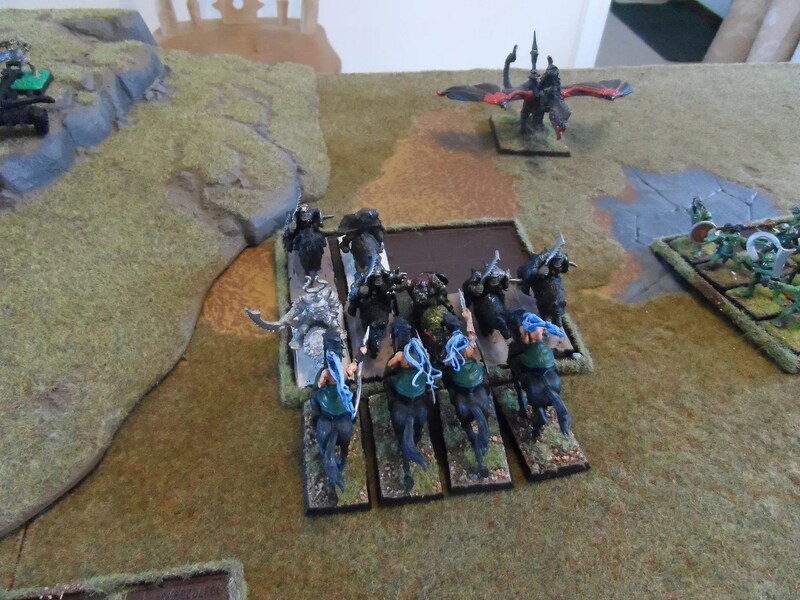 The Dark Riders having defeated the Spider Riders followed up into the Orc Arrer Boys, along with the Shades, who were in turned charged by the Savage Orcs. The panoramic view. 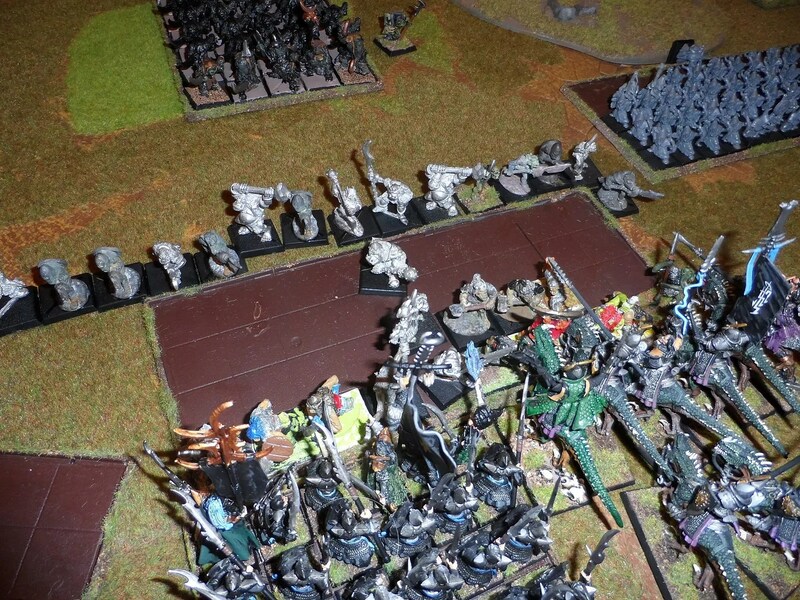 The Silver Talons charged the Orc Warriors. We broke for our evening meal – a take out curry. 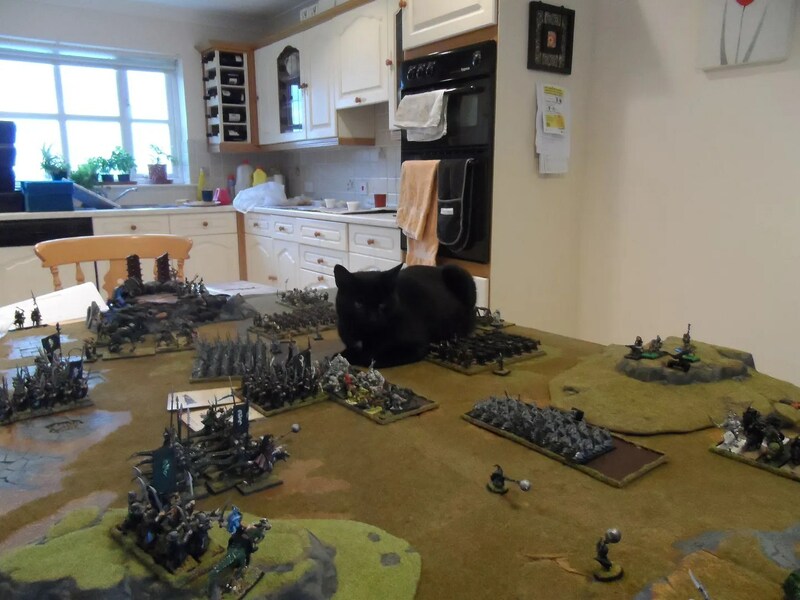 And returned to find BlackJack surveying the battlefield. 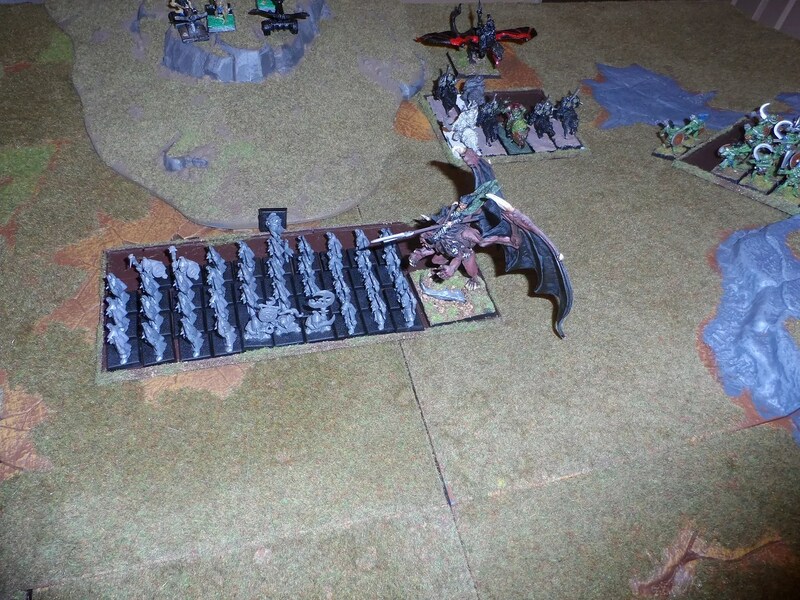 Redark (hunter in the Dark…dun dun derr), flank charged the large Night Goblin archers who stood and took it (foolishly). 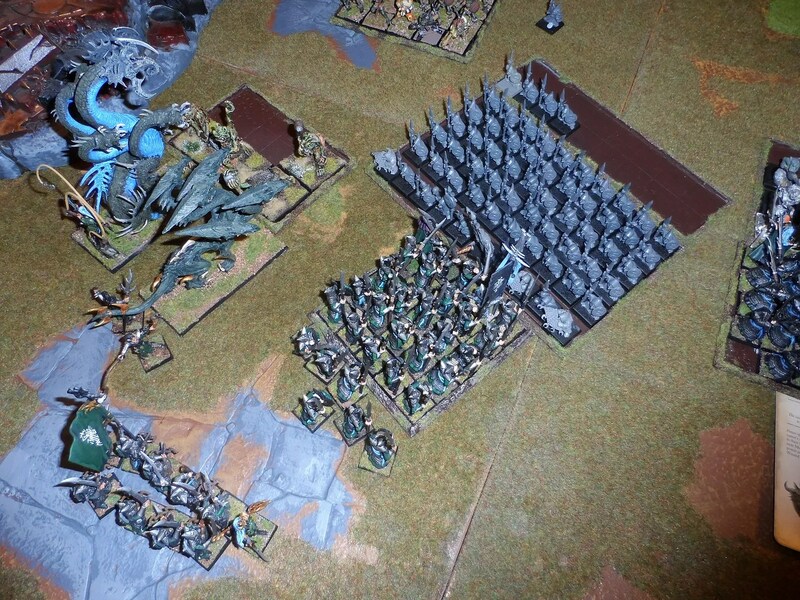 And the CoK charged in against the Orc Warriors to back up the Silver Talons. 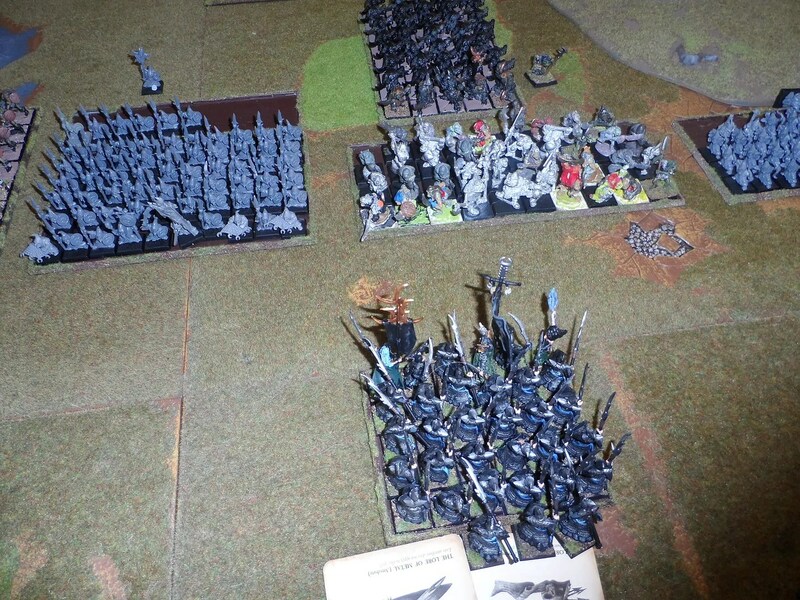 But the Goblin Spear horde charged my rather smaller spear unit, with the lavishly equipped Faegyn Cheapsoul. 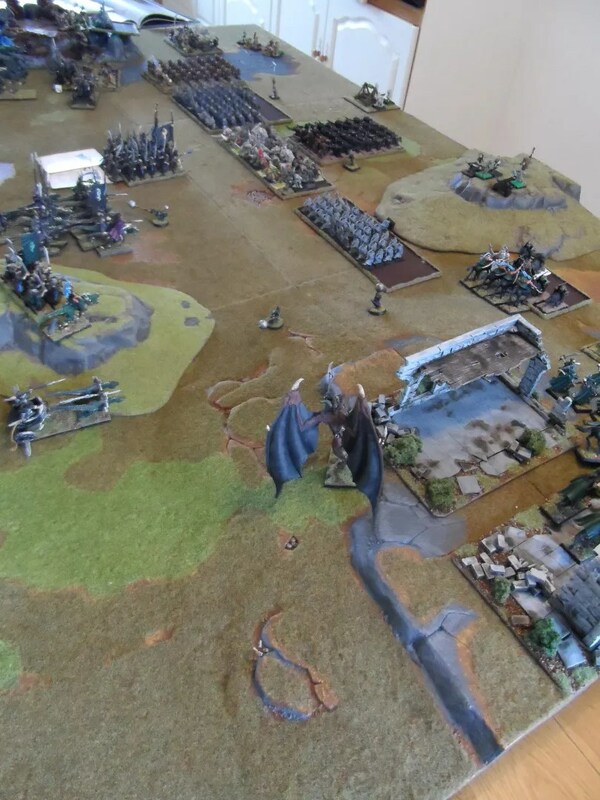 Eric, and Spitty charged in against the Trolls following the defeat of the Dark Riders and the CoK chariot. What an epic battle! The paint job on the elves is stellar. I can’t wait for part 3! Thanks for the compliments. Gav was on a Respite day as his wife is unwell and needs carers. So we had a very long session. The DE are only painted to Wargames standard – though the heroesw and stuff like Mengils are painted to a higher standard. Third and final part of the game is now posted.